3. 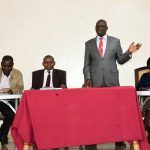 THAT a special Committee be set up by the Ministry of Agriculture Livestock Fisheries and Irrigation to come up with a revival strategy for the revitalization of Mumias Sugar Company. 4. THAT the Sugar Industry Taskforce to complete it’s work within the next 14 days. 5. 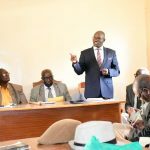 THAT the remaining 808 million owed to farmers be captured in the supplementary budget. 6. 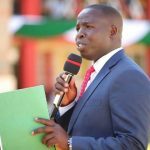 THAT the Ministry of Agriculture , Livestock, Fisheries and Irrigation to provide leadership in bringing together the relevant government departments and agencies to address the financial requirements of the Public Sugar Companies , particularly debt write off. 8. That the Sugar Regulations be gazetted to provide a conducive business environment for the sugar sector.